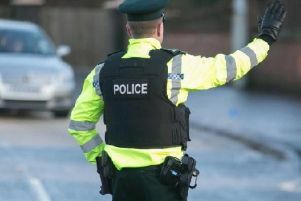 On the tot up points system a 25-year-old man was banned from driving for eight months last Wednesday at Craigavon Magistrates Court. Ciaran Ryan, whose address was given as Larkfield Meadows, Craigavon, admitted to a charge of driving without insurance on November 19 of last year. The court heard the offence came to light when he was stopped in Meadowbrook and admitted he had no insurance. A barrister representing the defendant said he had a previous conviction for no insurance but that the vehicle was now insured. District Judge, Mrs Bernie Kelly, said there were six live penalty points on the defendant’s record. She pointed out he had previous diversions but despite this largesse he chose not to adhere to it. For the offence she imposed a fine of £350, ordered him to pay a £15 offender’s levy and gave him six points. On the tot up system the judge imposed a driving ban of eight months on the defendant.